Deinonychus despite being a relatively obscure Dinosaur to non Dino fans has nevertheless made quite a large influence on popular culture. It is the basis for one of the most iconic Dinosaur characters in fiction. The small, crafty, vicious pack hunter with the cycle like claw leaping through the air comes from this animal rather than its smaller cousin Velociraptor. Still sadly as it was Velociraptor that was given the big break (and admittedly has a MUCH better name) then its stolen all of Deinonychus’s limelight. Still the Dinosaur has made a few appearances across various forms of media over the years nonetheless. Deinonychus was the inspiration for the famous, larger and scarier Velociraptors in the Jurassic Park franchise. In the Novel of Jurassic Park the Dinosaurs are actually meant to be Deinonychus. At the time Michael Crichton was writing the novel it was believed that Deinonychus was a member of the Velociraptor genus. 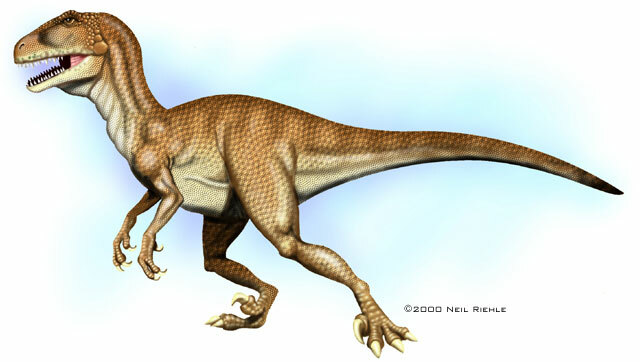 The species Deinonychus antirrhopus was even sometimes called Velociraptor antirrhopus. Thus the small pack hunting meat eating Dinosaur that terrorizes the main characters in Crichton’s novel is called both Deinonychus and Velociraptor as at that time both names were valid for the creature. At one point Grant state that Deinonychus is now considered one of the Velociraptors. However by the time of the film it was known that Deinonychus was not a member of the Velociraptor family. Nevertheless the makers of the film still decided to refer to the main pack hunting meat eater simply as Velociraptor. Thus it was Velociraptor that shot to fame instead of Deinonychus. Even though the Raptors in the film were based on Deinonychus in every respect, the general public believed them to be Velociraptors instead and Velociraptor entered into popular culture as the second most famous Dinosaur after Tyrannosaurus Rex. Though interestingly enough there would later be a member of the Velociraptor family that was discovered, that proved to be as large as those from the film canon. Still the Jurassic Park Velociraptors were based on Deinonychus and thus whilst the name Velociraptor might be better known, Deinonychus is really where the image for the classic small, fiendishly clever, swift killer that we all know and love comes from. Deinonychus has made a few appearances in some forms of Jurassic Park related media including comic book and video games, though often only in a small role. It was to have been included in Jurassic Park 4. Originally Jurassic Park 4 was to have featured Deinonychus’s being trained by marine’s for op secret missions. 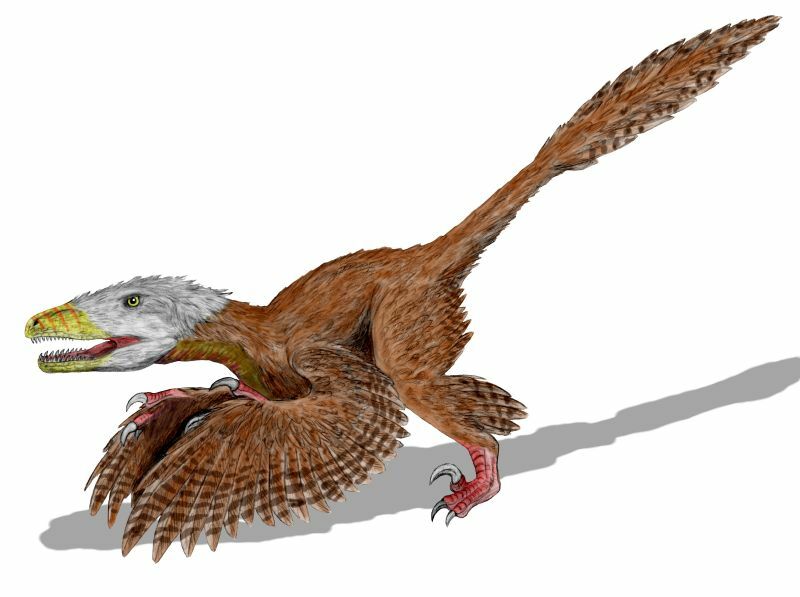 Though this idea was reworked into the renamed Jurassic World, ultimately Deinonychus was once again replaced with Velociraptor. Deinonychus appeared in this classic documentary hosted by Superman star Christopher Reeve. It was only a short sequence where two of them hunt a small ostrich like Dinosaur that they promptly tear apart. Its an incredibly brutal sequence almost like something from a Zombie movie as we see the two predators open its hapless preys guts and smear themselves in its entrails. This scene absolutely terrified me when I was younger. It was the way we saw the Deinonychus’s suddenly spring out of nowhere. I always remember the image of that Deinonychus head appearing over the branch snarling at its prey. With its bright red eyes amidst the black night it looks like a Demon! Its a fabulous scene and its just such a shame that Phil Tippet, its animator came to prominence just as stop motion was about to more or less be rendered obsolete, certainly as a mainstream special effect. If only he had come about 20 or so years earlier I think he would be one of the most celebrated Special effects guru’s of all time like Ray Harryahusen or Stan Winston. This card series was released in 1988 and revolved around Dinosaurs being brought forward in time due to an experiment gone wrong and chaos ensuing. The Dinosaurs were often portrayed as being larger and far more vicious than their real life counterparts. The series was tremendous fun and Tim Burton in the early 90’s even sought to make a film adaptation. Sadly however the success of Jurassic Park convinced him to make a film based on Mars Attacks an earlier card series made by the same company instead. Not that Mars Attacks isn’t an all time classic film of course, but I would have loved to have seen a film version of this. 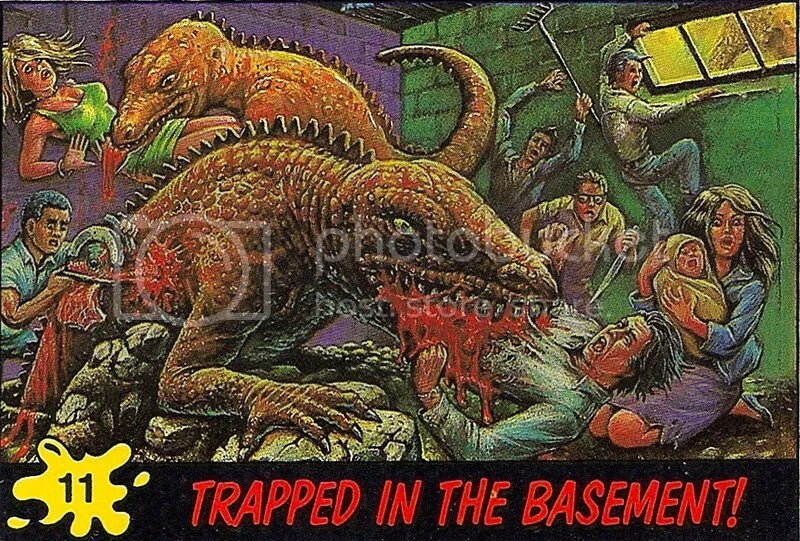 Deinonychus appeared in some cards from this series such as the one involving people trapped in the basement. This is one of my favourite’s, even by the standards of this series its quite brutal as we see children and even infants cornered by the ravenous Deinonychus’s. The back of the card is a note from the people in the basement that is smeared in their blood, indicating that none of them escaped the Deinonychus’s. Now in all fairness the Raptors in Primeval are never completely identified as Deinonychus’s on screen, however not only are they about the size of Deinonychus’s, but they are specifically identified as Deinonychus on the ITV website. These guys appear frequently throughout the series. They are the focus of a few episodes and are shown to play quite an important role in the overall story of the show. They kill the main villain of the first three series, Helen Cutter. Indeed a lot of episodes show them taking on surprisingly but unintentionally heroic roles with another example being in Series 5 Episode 3 where a Deinonychus kills Henry the psychotic husband of Emily just as he is about to murder Emily. it does kind of loose a bit of its scare factor. However I think the producers of Primeval found a nice balance by giving it a kind of feathery coating which allowed it to look more like a weird cross between a reptile and a bird. Deinonychus appeared in both this novel and its film adaptation. This novel by John Bronson which revolved around Dinosaurs being cloned actually was published about 6 years before Jurassic Park! Sadly however the film whilst fun is nowhere near the quality of the Jurassic Park film and thus not surprisingly this novel is completely overlooked. I myself sadly have not had a chance to read it yet. 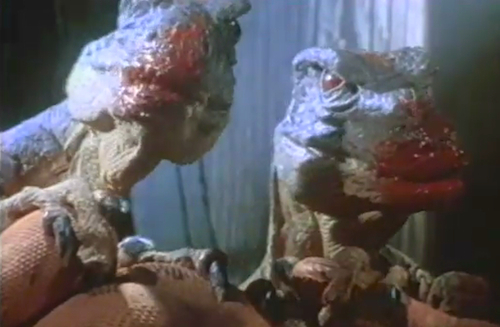 Whilst the Dinosaurs in the first two films in the Carnosaur series are Deinonychus’s the third film establishes them as Velociraptors instead. Thus Velociraptor once again stole Deinonychus’s spotlight, though to be fair I doubt this would have been Deinonychus’s bg break anyway.